“Coaching is unlocking a person's potential to maximize their own performance. It is helping them to learn rather than teaching them. You will see better results. We are pleased to offer a number of personalized training, consulting, and coaching services to our customers. Some are specific to seminar marketing, executive assistant support, the general estate planning practice, and even managing your practice personnel. Our team is trained to assist our customers in determining what they need and how best we are able to assist them. No Problem. Let Us Help. Book Your FREE Consultation Today! Schedule a complimentary 30-minute consultation with our Executive Director to help you figure out how The Ultimate Estate Planner might be able to help you! Kristina has been with The Ultimate Estate Planner, Inc. since it started in 2004 and has also worked side-by-side nationally renowned estate planning attorney, Philip Kavesh, and his estate planning law firm during this time. From your 30-minute consultation with our Executive Director, you will be able to walk away with a clear idea of what it is that you may need most to help you in your practice and determine whether we, at The Ultimate Estate Planner, or through our affiliations with a variety of organizations in the industry, may have something to help meet your practice needs. *Limited to one(1) complimentary 30-minute consultation per company and/or law firm. All consultations will be scheduled in advance at a mutually agreed upon day and time. If you need to cancel or reschedule your free consultation, 24-hour notice is required. Maximum of 1 rescheduled consultation permitted. Truer words were never spoken. Most lawyers have gone through years and years of schooling and countless hours of continuing education courses to earn and keep their degrees to practice law and stay on top of the law and planning changes in their area of practice. However, no matter how technically sound you may be, none of these things will help prepare you for the task of becoming the best estate planning business person you can possibly be. Our President, Philip Kavesh, learned over the years the hard way. He’s hired numerous coaches and mentors and it wasn’t until he found David Giuliano, founder of Without Boundaries Coaching, that he was able to really bridge the gap between the practice Phil had and the practice that Phil wanted. Business Coach David Giuliano has helped not only Phil Kavesh’s estate planning practice, he has also helped other estate planning professionals that have requested his expertise and coaching services. Unlike some of the coaches out there for estate planning professionals, David’s expertise and experience is not limited to the estate planning industry. He specializes in the area of conflict resolution and developing small businesses, while also assisting executives in achieving the results they have so desperately desired but could not seem to reach. Whether you’re an attorney, CPA, financial advisor or life insurance agent, if you currently own and operate your own practice, then you are indeed a business owner and business coaching may be just what you need! Although David currently practices in Los Angeles, he services numerous clients across the country and has thousands of hours of coaching experience. He is a member of the International Coach Federation and a highly regarded member of the St. Monica Catholic Community. “I highly recommend to you the business coaching services of David Giuliano. “Through the coaching process, David provided the support and insight I needed to focus my professional vision. My ability to distinguish between factors relevant to achieving my goals and those that are useless was enhanced. I gained a better understanding of how to build a practice that is not only more successful, but more satisfying as well. With David’s guidance, I was able to identify and rethink conclusions that I had consistently reached in error. As a result, I changed my approach to solve old problems and am now realizing different and more desirable outcomes. “During a period of transition in my law practice I found myself ‘stuck’, making little progress. I was dwelling on outside forces and letting them define me and my practice. Believing I needed to do something, I engaged David’s services as a practice coach. As David guided me through an evaluation of my practice and helped me to discover ways in which my own thoughts and attitudes were hindering me in attaining my goals, I came to appreciate more and more David’s knowledge, experience, and wisdom. He showed me that I have the freedom to choose how my practice will run. Whether you’re an attorney, CPA, financial advisor, or life insurance agent, it’s important that you have an extraordinary Executive Assistant that helps to keep you on track and on top of your game. You did not go through all of that schooling and training to waste your valuable time and effort doing a lot of the administrative work that we see estate planning professionals doing on their own. Face it, the best asset you bring to your business is meeting with clients and bringing in more clients. Let the rest of the details be handled by someone skilled and trained to provide you the support that you need. Our Executive Director, Kristina Schneider, has been working for attorney Philip Kavesh for over 10 years and supported Phil directly in all of his daily projects and tasks and has transitioned this position successfully to other Executive Assistants that now support Phil. You have the opportunity to get your Executive Assistant (or the one that you are looking to hire) some of the best potential tips and training available. By popular demand, we are now offering Executive Assistant Training for your Executive Assistant! Think about it…if your Executive Assistant was able to free you up to get more done and get you functioning at the highest and best use of your time, how much would that be worth to you? If you could meet one more client each day, would that be worth it? Or spend more time networking and doing other marketing? If it took some stress off your plate so you could sleep at night a little easier, would it be worth it? If you said yes to any of these questions, then sign up your Executive Assistant for our Executive Assistant Training today! For more information (including payment plans), click here. Are you tired of purchasing products to help you and your practice, only to find that you either don’t put them to use or have someone to help walk you through them to make sure that you’re implementing them properly? While we offer general support and guidance on the majority of our products, some of our customers would like some more in-depth, one-on-one hand-holding. We are available to do just that. Since our products and your need for support may vary, please provide us some additional information below and someone from our office will be in touch with you within one business day to discuss the best solution to your product implementation needs. verb. to plan and direct (a usually complex project or activity), especially skillfully: Six attorneys gathered each month and masterminded the complex issues of developing a successful estate planning practice. noun. a person who originates or is primarily responsible for the execution of a particular idea, project, or the like: The masterminds of developing a successful estate planning practice. During these calls, each participant has an opportunity to go over the specific challenges he or she is facing within their practice and tap into not only Phil’s expertise, but also that of others on the call. Through the Mastermind Group, attendees have been able to continue their Ultimate LevelTM experience, network and share with fellow colleagues, and continue to see results from their investment to better their practices and lives. This program is currently only available to those that have attended The Ultimate LevelTM or purchasers of The Ultimate Practice-Building Library. For more information, contact us at 1-866-754-6477. I am fortunate to have met Phil and have Phil share with me some of the systems of operating his business. He is one of the few attorneys that is great at both the business and practice of law. I hope that my practice can be as efficient and profitable as Phil’s. I attended Phil Kavesh’s 90-minute program, ‘How to Find, Hire, Train, Manage and Keep Associate Attorneys’ and this comprehensive program presents Phil’s unique insight into the single most challenging aspect of the law business for the small firm practitioner. The beautiful thing is that Phil explains in detail each and every key to developing a long-term successful associate attorney relationship. From regrooving your mindset to how to review resumes to how to set up compensation, Phil covers it all. I have been looking for something like this for 5 years and I must say that it was well worth the wait! I have the greatest respect for Phil, not only as an attorney, but also as a marketer, and even more importantly, as a motivator. 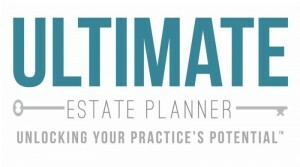 I have recommended and continue to recommend Phil and The Ultimate Estate Planner’s products and programs to other estate planning attorneys. I think any estate planning attorney that is interested in expanding and growing his or her practice would be well-advised to look into The Ultimate Estate Planner. Thanks again for all that you have done for me! I have known Phil Kavesh since I attended his very first Boot Camp back in the 1990’s. What I have learned from Phil over the years about marketing a profession has gone a long way toward making me what I am today—a practitioner who, with only one associate, generates over two million dollars in fees every year. Moreover, our firm has now been achieving this level of success for over twenty years running. That training that Phil provides has multiplied itself exponentially for us and we owe him a large debt of gratitude. Thank you, Phil! Phil, thanks for your article in the Wall Street Journal (“The $5 Million Tax Break”, January 2011). I thoroughly enjoyed it and it recharged my batteries. I look forward to reading future articles from you! 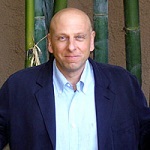 Phil Kavesh possesses that unique combination of technical competence and marketing genius. He does his homework when it comes to staying on top of the legal and tax issues affecting estate planning. His legal document forms pass master with the most skilled draftsmen. Over the years, Phil has developed a knack for practice-development and the hands-on skill to teach it to other professionals. I have learned much from Phil; he’s helped me formulate planning strategies to attract high level clients. He has also taught me how to get them committed to working with me and how to “close” the case with a satisfied client who is eager to refer his family and friends to me. My law practice is clearly more profitable thanks to Phil’s help over the years and it’s a true gift that he’s providing these products and services to others through The Ultimate Estate Planner, Inc. In my 37 years of going to these kinds of meetings, [Phil’s presentation] was one of the useful! He kept very complex ideas very simple and easy to understand. Thank you! Phil Kavesh knows how to motivate prospects to become clients and he is an acknowledged master at showing professionals how to tell the truth compellingly and attractively. He also knows how to provide quality professional client service. Any attorney or financial advisor committed to helping people make tough decisions that can improve their lives should consider Phil, his products and his programs. The information age makes so much information available that many people simply can’t decide what to do or who to trust. Phil teaches professionals how to gain client trust with truthful education that motivates prospective clients to take action. The key to success in a professional business is serving clients, not merely learning techniques. Phil is someone who can show you how to do both well. I am thankful every day since meeting Phil back in Las Vegas in 1993. His systems, systems, systems are great! I can’t thank Phil enough for showing me the way!